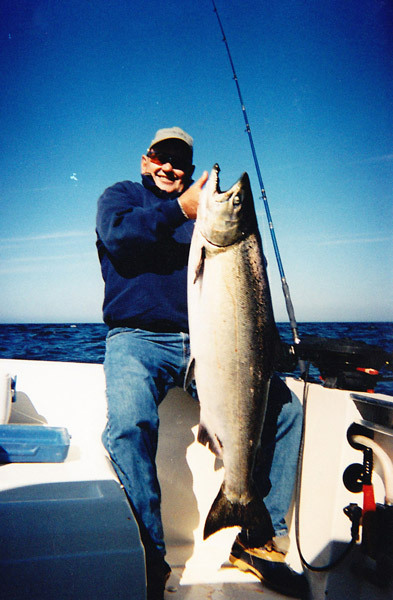 Bottom fishing opportunities are available throughout the summer fishing season with good catches of Halibut, Lingcod, Red Snapper and various species of Rockfish. 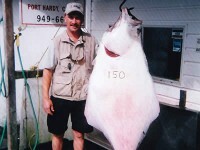 Effective bottom fishing is dependent on favorable tide and wind conditions. Generally speaking the best times are near the 1/4 moon phases and from April to October. 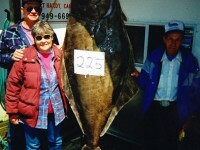 Largest Halibut to date: 232 lbs. (1991 Diawa Derby Winner) 212 lbs. (1994 Diawa Derby Winner). 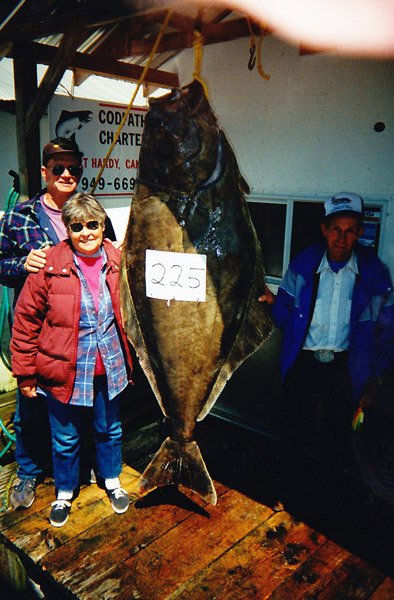 The prime season for catching Halibut is May through October while Lingcod, Red Snapper and Various Rockfish can be caught year round. 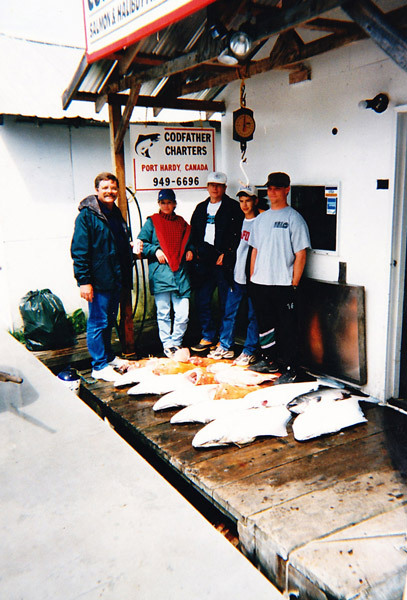 Contact the Codfather to see which type of fishing is best for the time you plan to arrive. We offer a wide variety of fishing and accommodation options. Our Standard 3 day / 4 night fishing package is listed below . 3 Days Guided Fishing from 24' boats. Coffee, soft drinks, breakfast and lunch. Fish cleaned, vacuum packed, frozen and boxed for transport. 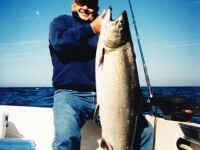 3 Days Guided Fishing from 23 & 24 foot boats. 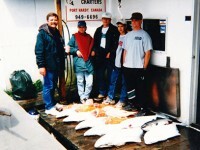 3 Days Guided Fishing from 27 & 28 foot boats. Fuel Surcharge of $50 per day, per boat will apply in event of fuel prices over 1.35/L. This is our standard fishing package. We also offer trips from 1 to 5 days for boat only / rooms only or any combination that works for you. Please contact us for details on the various options available.